This artist's concept shows the three segments of MARSIS as they will appear after deployment, two of the segments extending horizontally on either side of the Mars Express spacecraft and one extending vertically. During the next couple of weeks, if all goes as planned, the martial arts champion of radar antennas will kickbox its way into space. Weighing in at a mere 4 pounds (1.8 kilograms) and packing a pyrotechnic punch, the MARSIS antenna, which stands for Mars Advanced Radar for Subsurface and Ionospheric Sounding, will spring into operation in May. On each of its two main "arms," thirteen segments will quickly uncoil, taking a few seconds to reach their full length of 20 meters (65 feet) after tiny explosive charges open a pair of compartment doors. 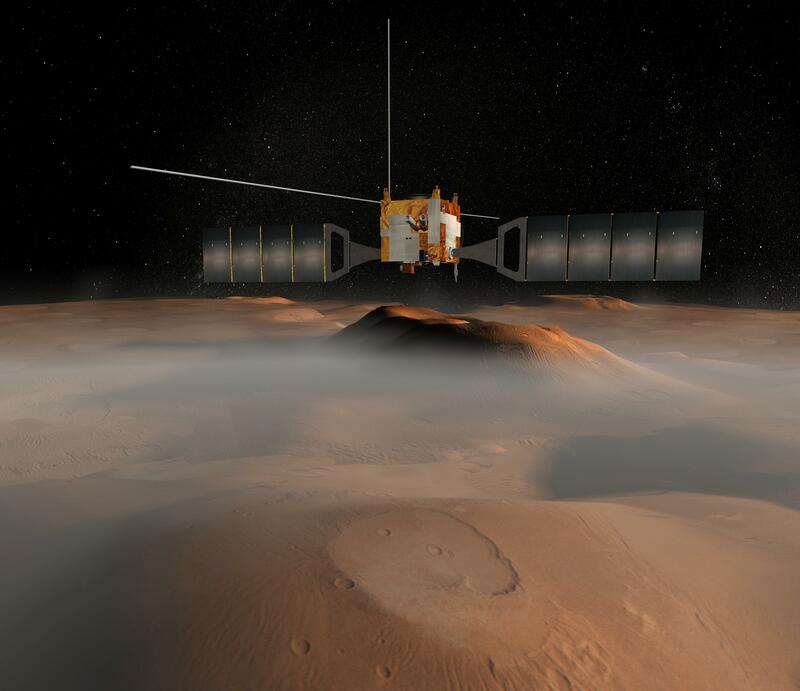 The motion will cause the spacecraft, the European Space Agency probe called the Mars Express, to rotate slowly 45 degrees, temporarily losing contact with Earth. In this case, losing the signal for a short time will be the first sign of success. Italian radar specialist Daniela Biccari will monitor the antenna's function without being able to see it. "There is no camera to tell us if the antenna has deployed correctly," notes electrical engineer and radar scientist Daniela Biccari, of the University of Rome. "We will monitor the spacecraft's orientation with gyroscopes and accelerometers." 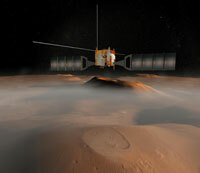 Scientists will use MARSIS to probe beneath the surface of Mars. The radar will search for underground features much the way an ultrasound device looks at an unborn child inside a mother's womb. When radar waves encounter a boundary between different materials, some energy is reflected and some is transmitted. MARSIS will use radar signals with wavelengths hundreds of meters long to detect features up to 5 kilometers (3.1 miles) deep. One of the things scientists will look for are aquifers, zones in buried rocks that are rich in liquid water. If spaces between rock grains are empty, most of the radar waves will penetrate. If spaces are filled with water, the signals will bounce back. JPL engineer Ali Safaeinili helped design MARSIS to see what would otherwise be hidden from view. 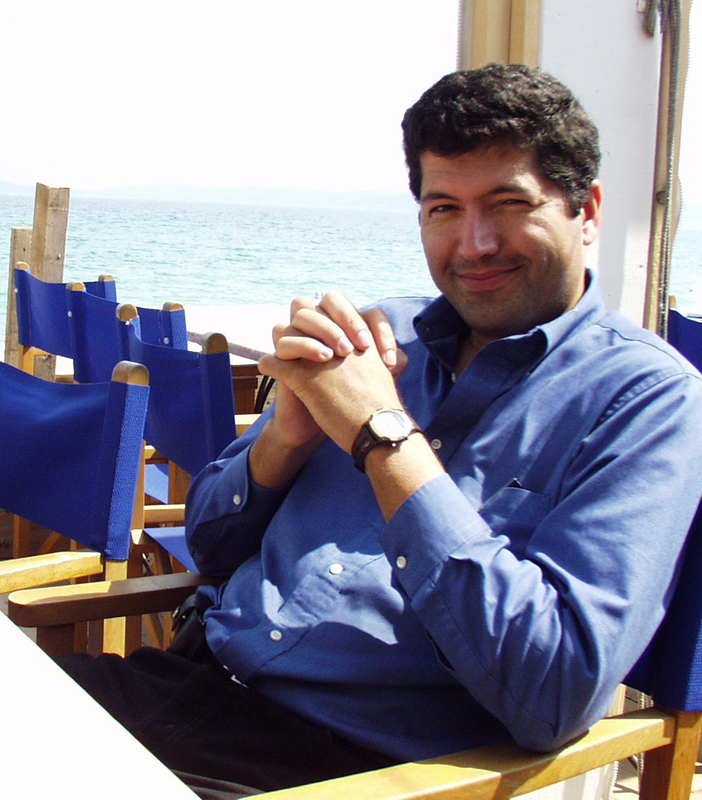 "MARSIS will let us 'see' the invisible Mars," says Ali Safaeinili, an electrical engineer and radar scientist at the Jet Propulsion Laboratory in Pasadena, California. "So far, for the most part, we have only observed the surface of Mars, but with MARSIS we can see rock and ice beneath the surface." Concerned about its unconventional design, mission controllers in Europe have delayed the deployment of MARSIS more than once. A week before its originally scheduled deployment in April of 2004, an engineer at Astro Aerospace, the California company that designed the antenna, ran a computer simulation suggesting the antenna might spring backward and graze the spacecraft. Scientists will use MARSIS to look below the surface of Mars. This image, taken by the European Space Agency's Mars Express spacecraft, shows layers of water ice at the north pole. Since then, engineers and scientists on both sides of the Atlantic have run multiple simulations, using computers and spare flight hardware, to ensure minimal risk to the spacecraft. To give humans adequate time to check all systems, deployment will occur in three stages - twice for the two main arms and once for a third, smaller antenna. "No one has ever sent an antenna with this material design into space before," says deputy principal investigator Roberto Seu, of the University of Rome. "It's a very exciting project." JPL geologist Jeff Plaut will use MARSIS to study layers of buried rock, ice, and water on Mars. 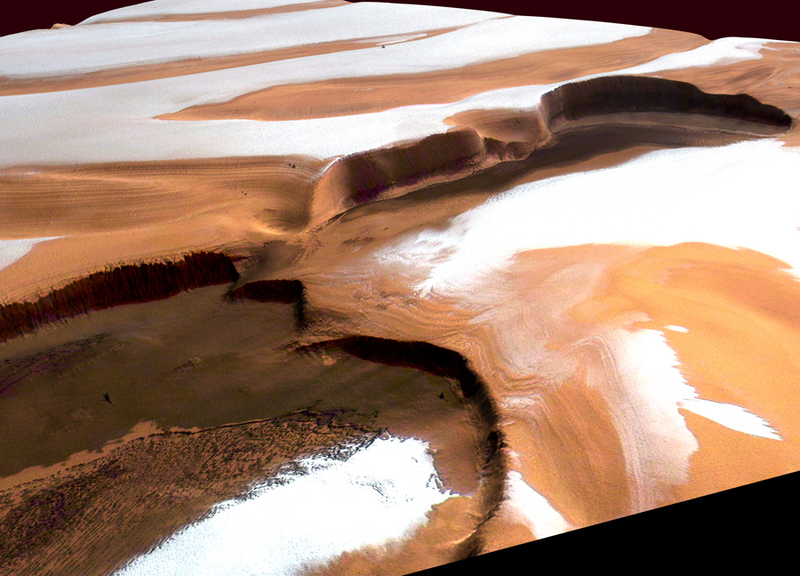 Based on orbital images, scientists know that Mars once had flowing water on its surface that carved rivers and canyons. 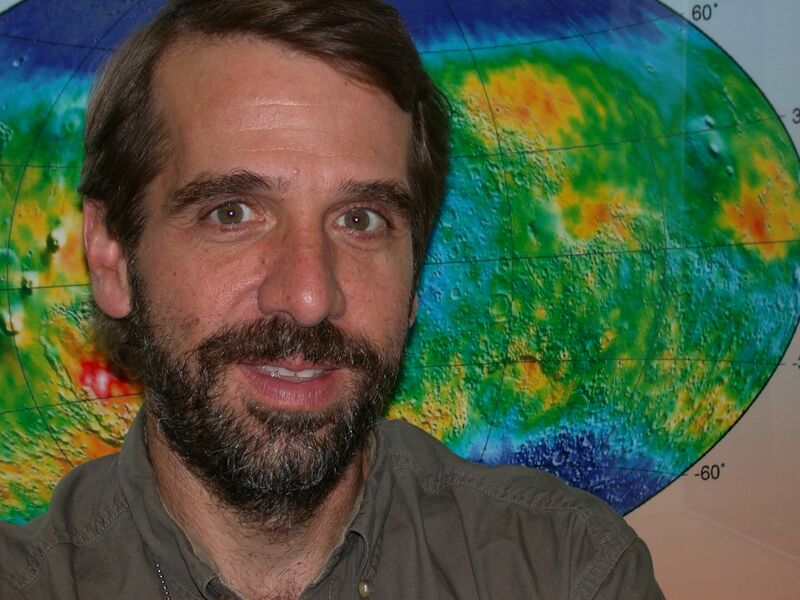 "If you took all the water we see in the ice on Mars and spread it all over the planet, you would get a global ocean about 10 to 20 meters (33 to 66 feet) deep," notes JPL geologist Jeffrey Plaut, lead U.S. investigator for MARSIS. "But if you calculated the amount of water needed to carve the channels, you would find it is on the order of hundreds of meters. That's a big difference." Some water may have disappeared into space. Hydrogen and oxygen ions in water can be broken apart by ultraviolet radiation or other chemical processes and carried away in the solar wind. Some water may have been trapped underground. Scientists hope to see what's beneath layers of icy material at the martian poles. During the polar winter, the water ice is covered by a layer of dry ice - frozen carbon dioxide - that evaporates in summer. Year-round, frozen water is mixed with martian soil similar to permafrost beneath the Alaskan tundra. 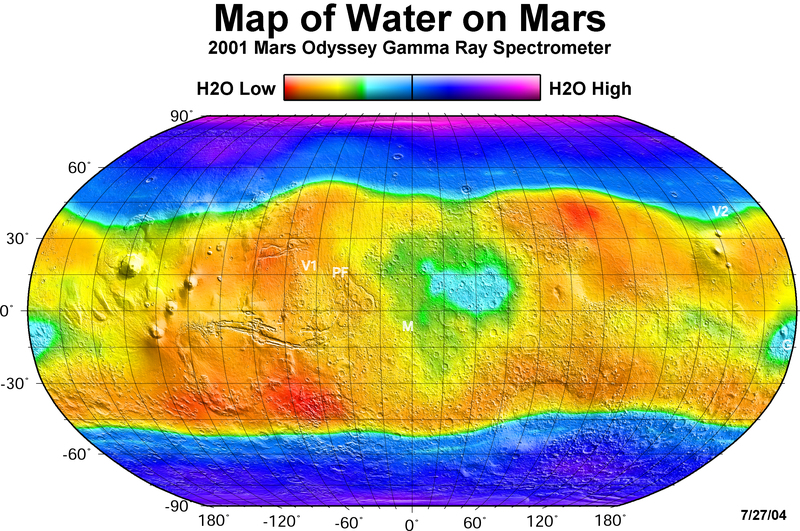 Scientists used the Gamma Ray Spectrometer aboard NASA's Mars Odyssey spacecraft to produce a global water map of Mars. The areas with the highest concentrations are at or near the martian poles. MARSIS will enable scientists to take a closer look at the extent of water and water ice on Mars and how deeply it is buried. Finding liquid water on Mars is important for several reasons. The first is the search for life elsewhere in the solar system. In the presence of water, microbes may have a potential habitat. "These are some of the biggest questions of all," said Plaut. "Is there life on Mars or has there been life on Mars in the past?" Water is also important to eventual human exploration, both for consumption and as an energy source. Though Mars today is different from Earth, it started out with many of the same raw materials. "The most exciting result would be to find present-day liquid water on Mars," says Plaut. "We have lots of evidence of ancient water on Mars and good evidence of ice on Mars but no ability to detect buried liquid water before now."